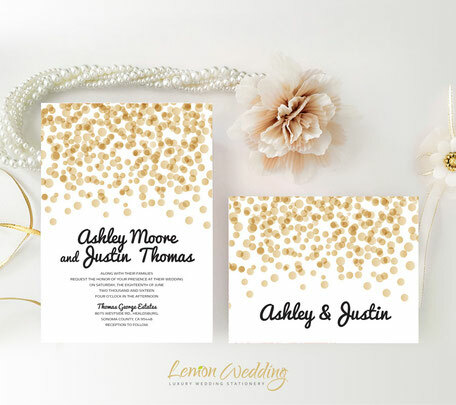 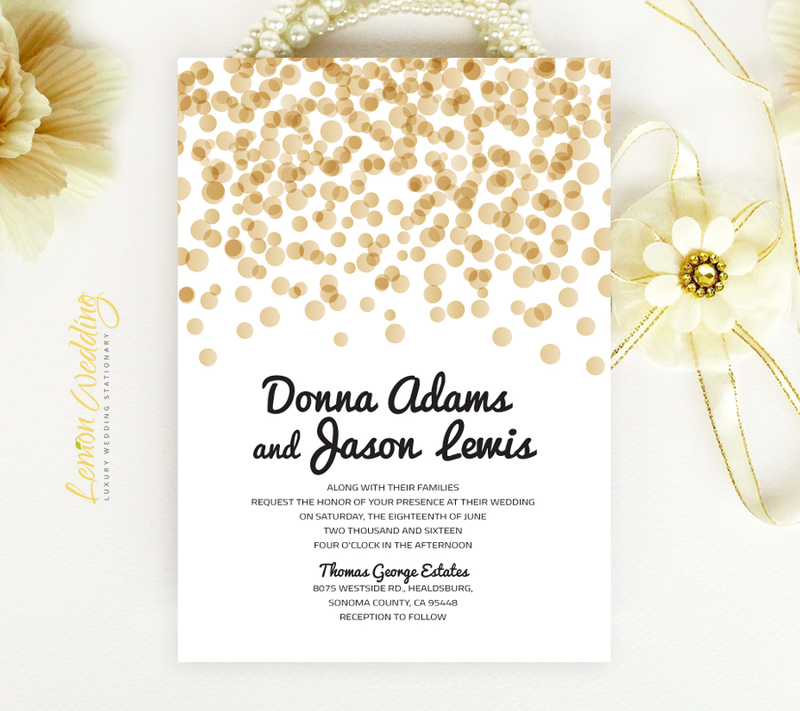 Make your wedding announcement unforgettable with our sparkling Polka Dot Wedding Invitations. 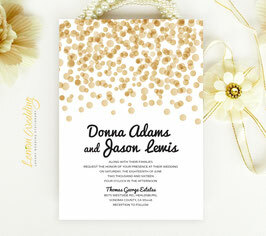 Our stunning wedding invites will tell guest the details of your upcoming nuptials in a chic, yet elegant manner. 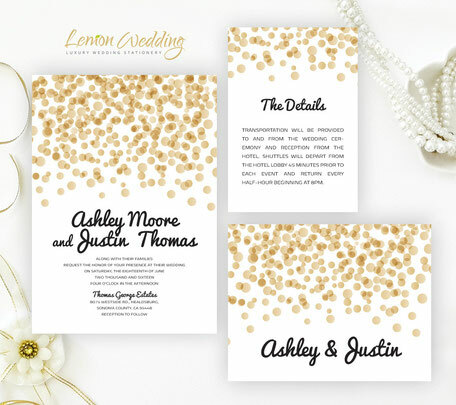 Printed on premium card stock, each card will be decorated with layered polka dots and features a friendly font.